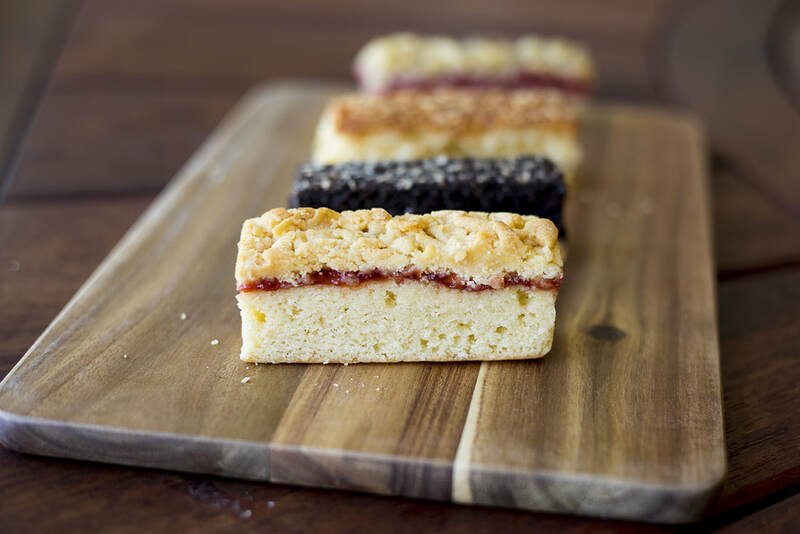 DREAMTIME TUKA launched their new range of slices on board all regional and domestic Qantas flights across Australia, supplying Lemon Myrtle Coconut Slice to passengers from 31st March 2016. 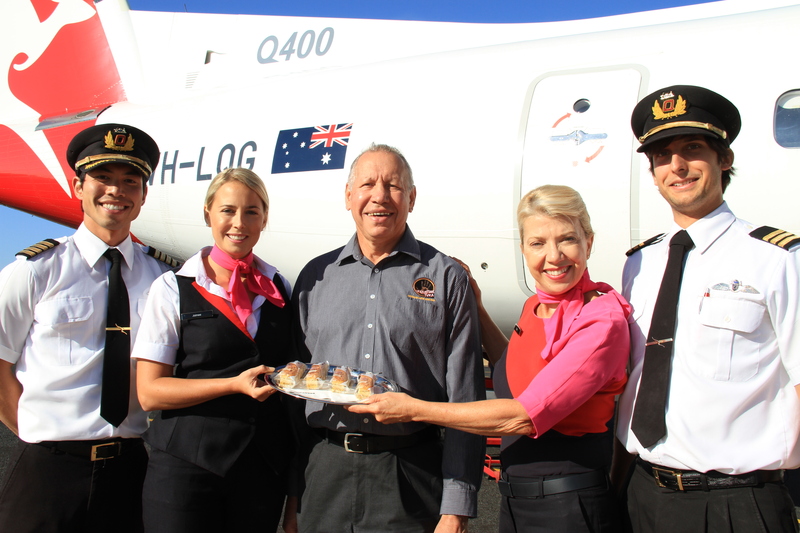 ​DREAMTIME TUKA are the first 100% Indigenous Owned business to supply Qantas with food or beverage. 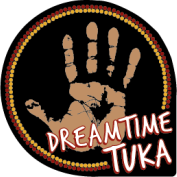 ​DREAMTIME TUKA are currently supplying their slices to all passengers on regional and domestic flights with Qantas. A mild citrus natural lemon myrtle flavour combined with a light and sweet coconut combination, creates a fresh and evocative slice to tantalise the taste buds. 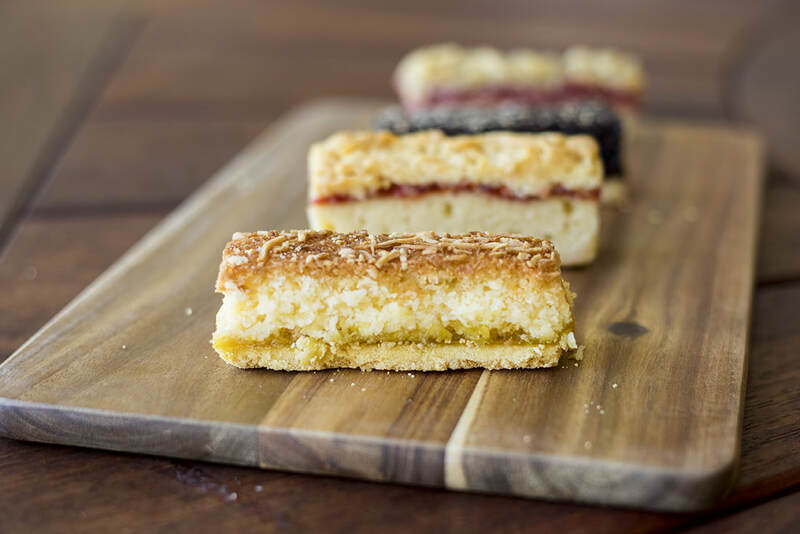 The rich and full bush plum flavour mixed with a biscuit style crumble layer creates an old fashion style slice that takes us back to thoughts of Grandma's Kitchen. 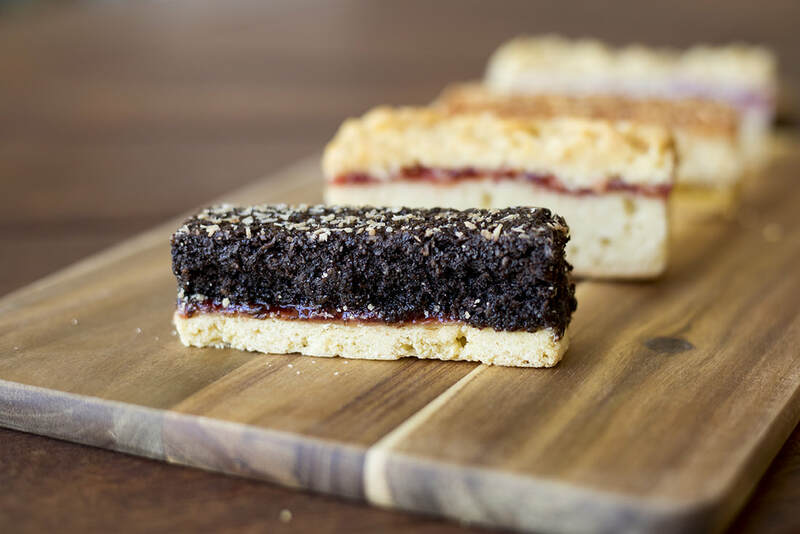 DREAMTIME TUKA has created the RAINFOREST PLUM CHOCOLATE SLICE by using the Rainforest Plum jam flavour combined with a biscuit style layer and accompanied with a roasted coconut topping.